I still think the women’s baseball game is the best in the series up to this point, because it is a great peak into the strategy and nuances of baseball (and any sport, really, since a lot of what Aoba did in that episode is purely psychological), but this game is a close second, more so after the big, lumbering first baseman breaks his finger, which allows Mishima to get into the game and give Kitamura the toughest challenge he’s faced in his life up to this point. That says it all right there — not too much drama in this play-in round, because even though Seishuu is still an “unpolished” team, it still has the balls and the talent to play possum with another team that scouted it for a week. When you have a pitcher like Kitamura and a hitter like Azuma, I guess you can afford to hang back for a while until you work out all the kinks. So, after way too long a disappearance, Cross Game is finally back on UNMEI KAIHEN! Wish I had a good reason for not blogging the series for so long, but I don’t. At least I am writing about it again, though, right? This episode is mainly set-up for Kitamura and company’s first taste of the Koshien. 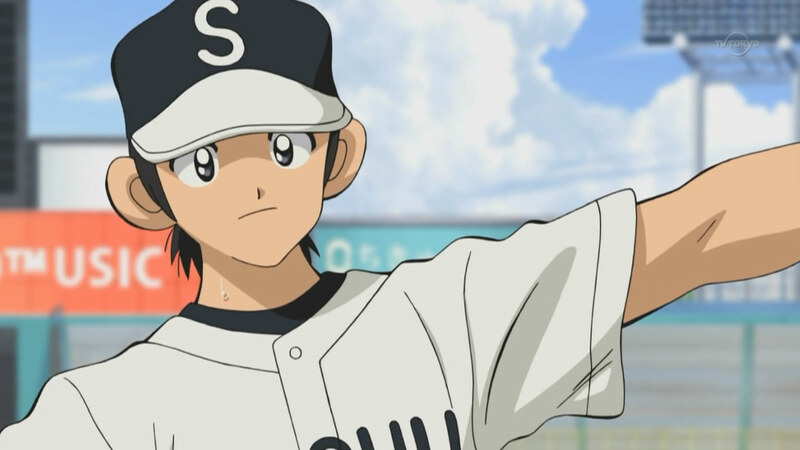 It will be interesting to see exactly how far Seishuu will go; I don’t think they will win this Koshien, because they have another year remaining, but the school could still make a strong splash in the tournament, so there is at least some suspense in wondering exactly when the team will lose. Even though the show is setting up this first opponent — and the player in particular that Azuma remembers — as really tough, I doubt Seishuu will eat it in the first round, but it could be a decent shocker if they do. Another Cross Game double play! 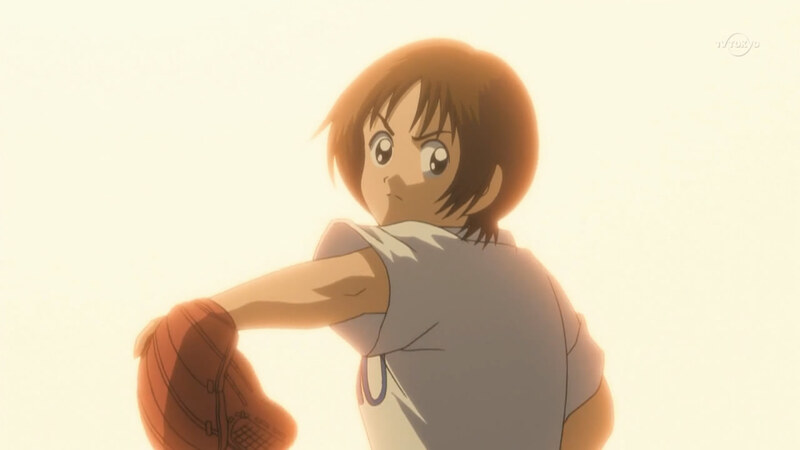 This pair of episodes highlights an awesome all-girls baseball game that is definitely the best game yet in the series. The first episode does a nice job of emphasizing the frustration Aoba has to deal with on a daily basis. Midori hits the nail on the head when she says Aoba probably never considered playing women’s baseball — which is exactly the same mindset Midori once had. It makes sense, too. Many societies have such a male-dominant view, particularly where athletics are concerned, that everyone just takes it for granted that men are going to be the best in any sport, and therefore offer the best competition. But that does not mean the women are going to be pushovers by any means, as Midori found out and Aoba discovers in this pair of episodes. It appears as if Asami is starting to get the picture! Don’t try to derail the Kitamura x Aoba train, man. You’ll just end up a mess on the tracks. 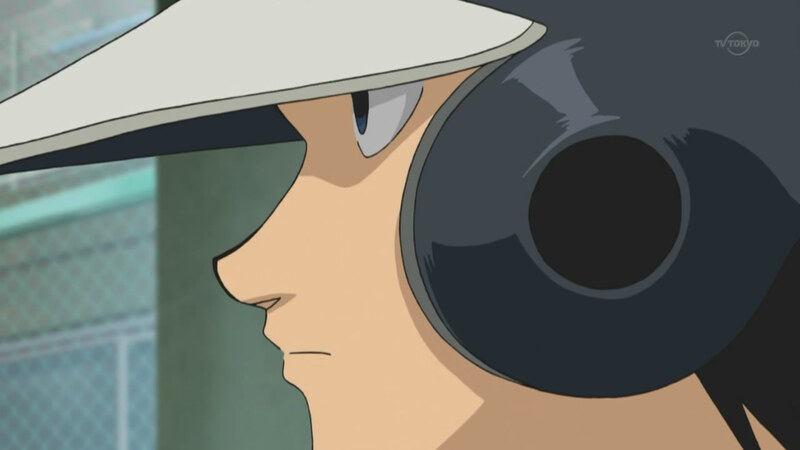 Much of the episode revolves around an unstated rivalry between Kitamura and Asami. I love that Kitamura is combating Asami almost unconsciously. He cannot admit out loud — for various reasons — that he has a thing for Aoba, but at the same time, he cannot accept that someone else could potentially step in and win her heart (even if the guy has absolutely no chance at doing this). When Kitamura runs by the Aoba/Asami love poster, for instance, he barely even notices it at first, and when he does acknowledge it, Kitamura simply grabs it calmly and tosses it in the garbage. He doesn’t make a big fuss about it. The whole thing comes off like, “Oh, I don’t really know why I am doing this, but I guess I’ll do it anyway!” That is about how seriously Kitamura takes Asami in his mind. A double dose of Cross Game in this post! Not too much more than a fun comedy episode here, but it’s a good one. I wonder if Risa is being written out of the series for the time being? If so, this is a nice sendoff for her. My respect for her went up just a bit as I watched all the hard work she put into acquiring some baseball skill for her audition. Like many Cross Game characters, there is more to her than what we initially see. Under the influence of the “acting principle”, she is quite bratty and runs roughshod over the baseball team. But I guess her parents’ impending divorce gave her a bit of a reality check. She’s still sort of grumpy, but she is actually working for what she wants rather than expecting it to be handed to her. Even though she does not acknowledge exactly why she is doing it, the fact that she thinks to give a gift to Aoba is a clear sign of how much the recent events in her life have forced Risa to mature.